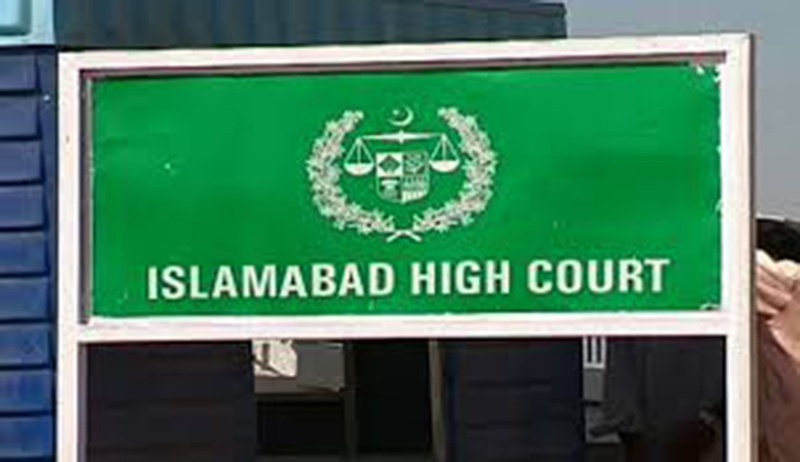 The Islamabad High Court has declared that the Federal government has no authority to direct the suspension of mobile phone services on the ground of national security. It was held that such power can be exercised only after the proclamation of emergency by the President. The declaration was made while allowing an appeal filed by a telecom company, CM Pak Limited, against the shutdown of cellular network ordered by Pakistan Telecommunication Authority. The cellular company contended that the telecommunication authority had been compelling it to suspend services from time to time on mere apprehensions, infringing the fundamental rights of the company. It was also contended that the suspension of services infringed the customers’ right to receive uninterrupted cellular voice and data services. According to the appellant, the authority had no power under the Pakistan Telecommunication (Reorganization) Act 1996 to shut down network on the directives issued by the Federal government. The company also sought for compensation of losses caused by intermittent network shutdown. The authority defended its actions stating that the shutdown was done on the basis of directives from the Federal government, which were binding on it as per Section 8 of the Telecommunication Act. According to the authority, it is within the exclusive domain of the Federal government to decide matters relating to the defence or security of Pakistan, and when directives are made to order the suspension of mobile services, the authority has to comply with it. Judge Athar Minallah of the high court considered the matter in the light of the provisions of the Telecommunication Act. The judge noted that Section 8 of the Act empowered the Federal government to issue policy directives to the authority as and when it considers necessary; however, such directives issued by the Federal government cannot be inconsistent with the provisions of the Act of 1996. The power of the Federal government to order suspension of mobile services was specifically mentioned in Section 54(3) of the Act. But, the said power can be exercised only on the eventuality of proclamation of emergency by the President. There is no other provision in the Act of 1996 which vests the power or jurisdiction in either the authority or the Federal government to suspend or cause suspension of operations, functions or services of a licensee on the ground of “national security”. So in the absence of proclamation of emergency by the President, the Federal government cannot order suspension of mobile network. The power to suspend or cause suspension of the services, operations or functions of a licensed telecommunication provider in the context of 'National Security' is exclusively provided under subsection 3 of section 54 of the Act of 1996 and that it can only be invoked if there is a Proclamation of Emergency by the President of Pakistan pursuant to powers vested under Part X of the Constitution i.e. Articles 232 to 237 ibid. Causing the suspension otherwise may expose the Federal Government or the Authority to claims of compensation or damages by the licensees or the users of the mobile cellular services, held the court. The court also rejected the argument that the Federal government has the power to suspend as per Section 54(2). The court noted that Section 54(2) merely envisaged that, in the specific eventualities, the Federal government shall have preference and priority in telecommunication systems over the licensee. However, priority or preference does not mean power to suspend telecommunications. Therefore the directive issued by the Federal government was found to be inconsistent with the Act, and hence was declared null and void. It was declared that the Federal government or the authority were not vested with the power and jurisdiction to suspend or cause the suspension of mobile cellular services or operations on the ground of national security except during the proclamation of emergency.